Designated a primary historic resource by the City of Fremont, the Hiram Davis estate is the remains of a 19th century farm and includes an 1853 farmhouse and water tower. Located in a neighborhood of small houses and apartment buildings, the estate was slated for development into medium density housing. 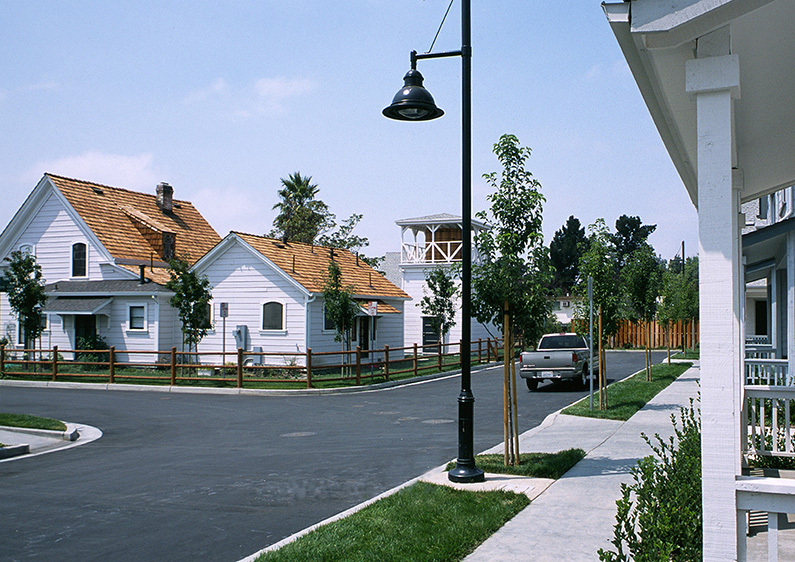 Working closely with the city, the project team developed a site plan which retains the character of the existing farm structures and creates a new neighborhood of multi-family houses. Landscape improvements included preservation of significant trees and the addition of new street trees and planting for the new houses. The plant materials recalled the character of the farm and included flowering fruit trees, evergreen hedges and roses.